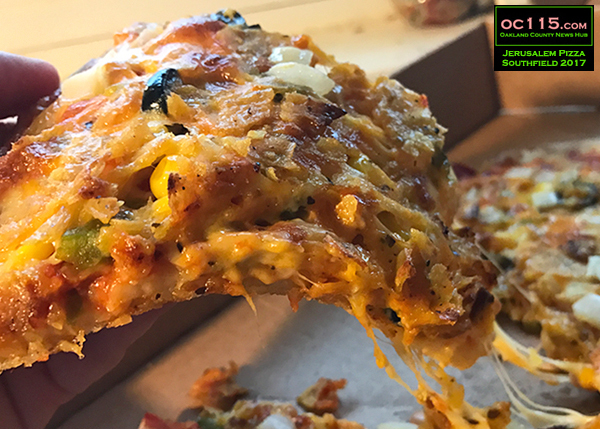 Southfield, MI – Sometimes kosher is the way to go when it comes to pizza. 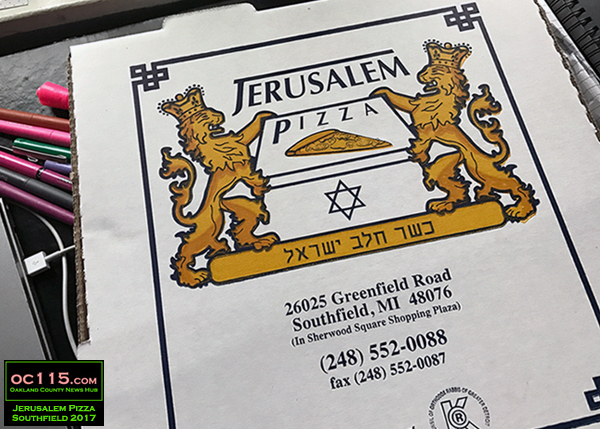 Jerusalem Pizza at 26025 Greenfield in Southfield has an eclectic variety of specialty pizzas, all prepared according to strict kosher law under the supervision of Council of Orthodox Rabbis of Greater Detroit. 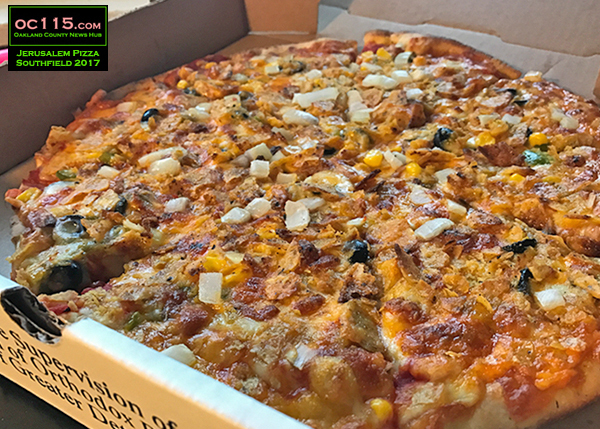 My choice was the Mexican, which came with cheddar cheese, sauce, black beans, corn, green peppers, black olives and crushed nachos. I also had them add onions. It was a great combination on a tasty crust that I thoroughly enjoyed. Other options include the Sephardic (Cheese, Dijon mustard, sour cream, vegetarian ground beef, onion, mustard and seasoning), the Salmon (cheese, sauce, salmon, pineapple, black olives and onion) or even the Falafel (cheese, sauce or tahini, falafel, tomato, green pepper and olive oil).